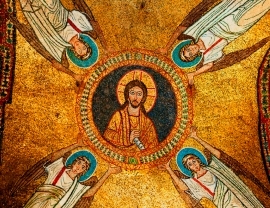 as the holy images shine with myriad tiny pieces of mosaic artwork. 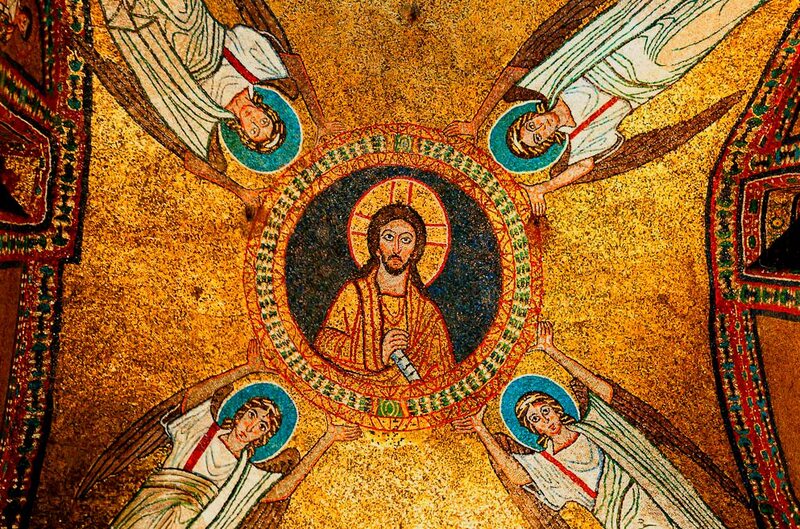 A dazzling wonder which has attracted visitors in Rome since the early Middle Ages. 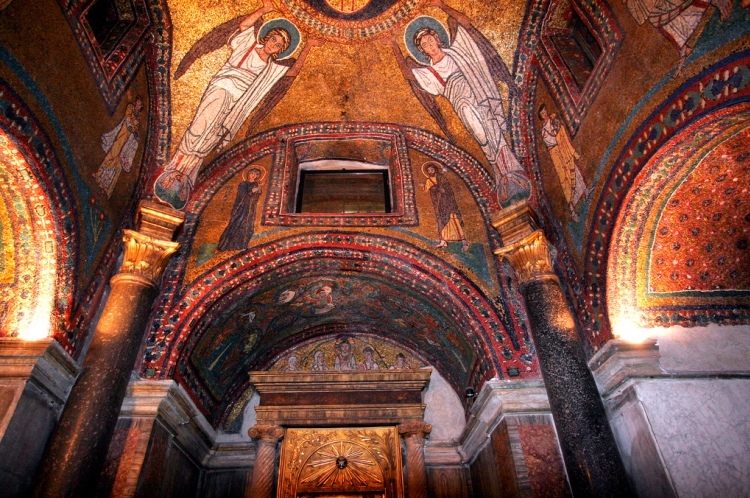 The very art of Byzantium inflames with gold the small Chapel of St. Zenone, hidden in the Church of St. Prassede, in itself a chest full of magnificent treasures. On the right aisle, a portal guarded by two black granite columns allows us into a magical space, where the dim light is reflected from very small mosaic pieces by the million, all shining with the full colour of antique gold. 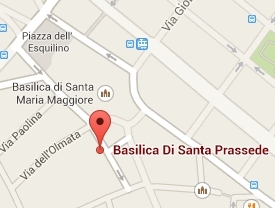 When Pope Paschal I built the Chapel in A.D. 820, he wanted to honour St. Prassede, her sister St. Pudenziana and the martyr Zenone by creating an astonishing site whose fame would spread in the world. 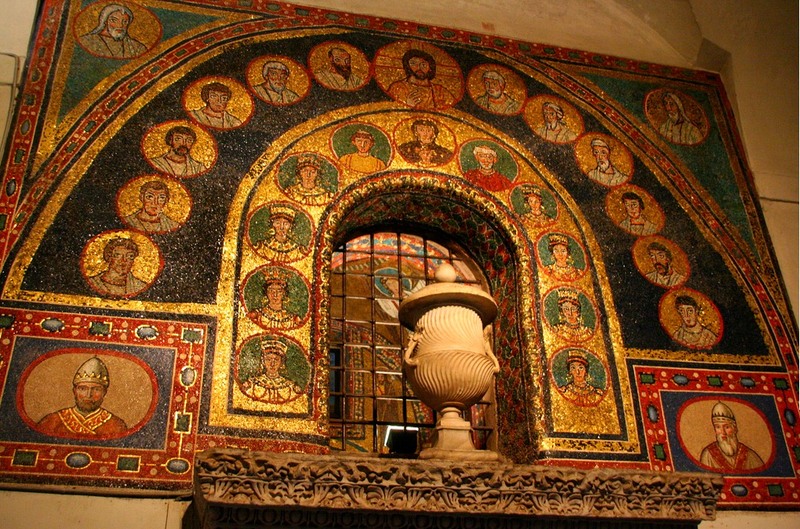 Pilgrims coming to Rome would be enchanted and enthralled by this very small place of worship, where the tiniest pieces of mosaic were employed to reach the summit of byzantine mastery in this kind of artwork. Still the Chapel of St. Zenone is a bewildering sight for today's visitors: an immersion in the pure light of an unequalled artistic achievement. 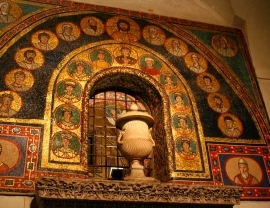 It is into a world as mysterious as that, as unreal as that, we are come when we look on these mosaics of the ninth century in S. Prassede. There remains that obscure and mysterious chapel of S. Zeno, built by Pope Paschal I in memory of the saint, to receive the dust of his mother. 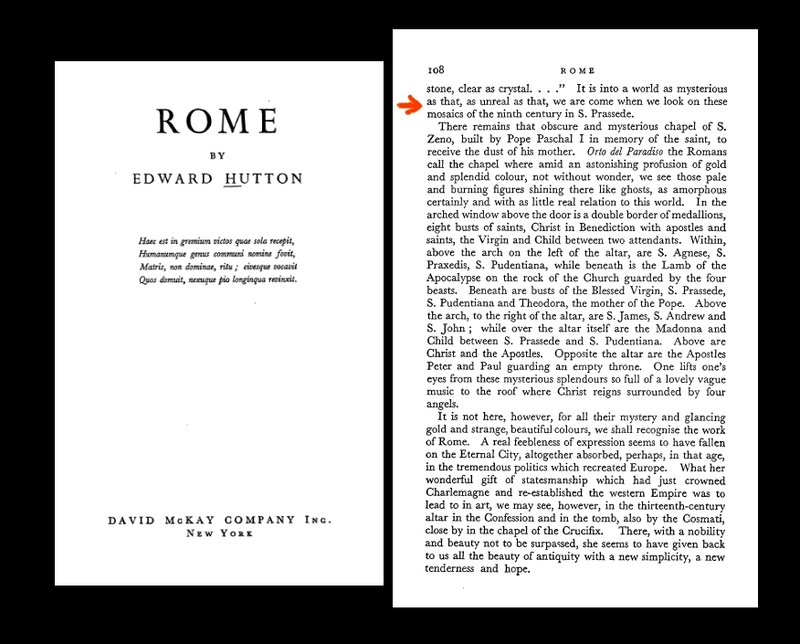 "Orto del Paradiso" the Romans call the chapel where amid an astonishing profusion of gold and splendid colour, not without wonder, we see those pale and burning figures shining there like ghosts, as amorphous certainly and with as little real relation to this world. St. Prassede contains many other treasures, including the mosaics over the altar and the traditional Jesus Christ's Scourging Column.